Who is the best Messi or Ronaldo? There is no answer of this Million Dollar question. Messi and Ronaldo are both best in the eyes of fans. For the last eight or nine years alone, the two footballers of Real Madrid and Barcelona are ruling in football faith alone. The rivalry between two footballers is not less. As well as the slipper of the rail line, they went straight ahead and did not match their straight lines. For the sake of media, it is sometimes known that both of them are constantly hostile. Again, it is never heard that there is no attitude of hostility. Messi sometimes said that he had no enmity with Ronaldo. Now the Real Madrid star Cristiano Ronaldo praised the rival Messi. He said, Messi is not my enemy, he is my companion. 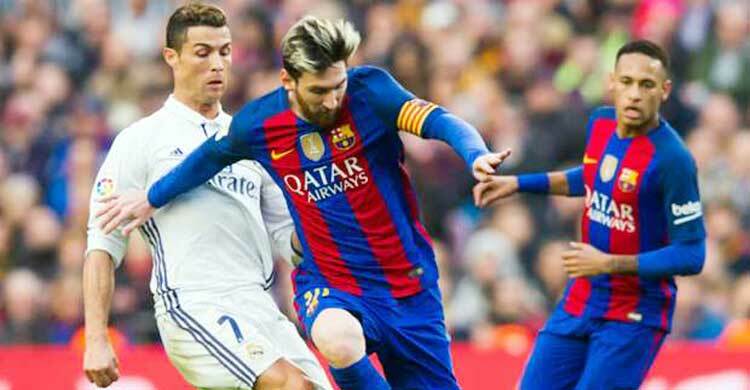 Ronaldo praised Messi in an interview with Argentine Fox Sports, who said he liked watching his rival with Barca forward. Cristiano Ronaldo’s Real Madrid face the Italian club Juventus in the Champions League final on Saturday. Before that, Ronaldo faced Argentine media . There, he said, among those who like to watch games, he is one of them, Lionel Messi. Cristiano Ronaldo scored a total of 40 goals in all competitions in this season. Whoever Real Madrid is now in the Champions League Final. At this stage, the 32-year-old winger said he had a good relationship with Messi. Rather, he is disliked that compared to Messi, the rivalry is made.